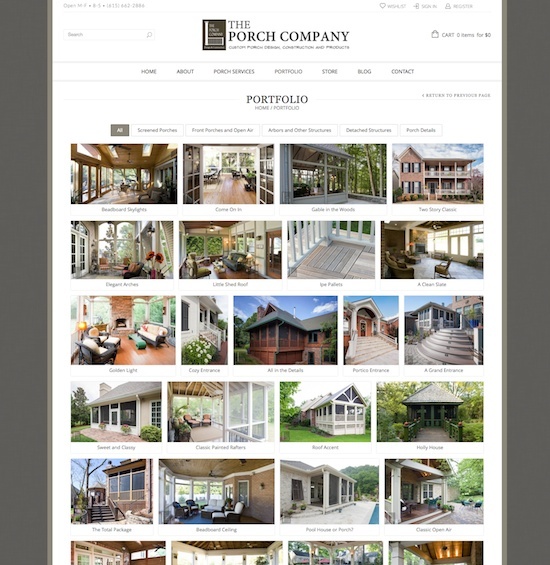 The site for The Porch Company is a web builder’s match “made in heaven”: beautiful photos of design work go so well on the web. The core of the project, however, was in consolidating the company’s Shopify store into WordPress so they both lived under the same domain. For the design foundation, I decided to build on Legenda by 8Theme. 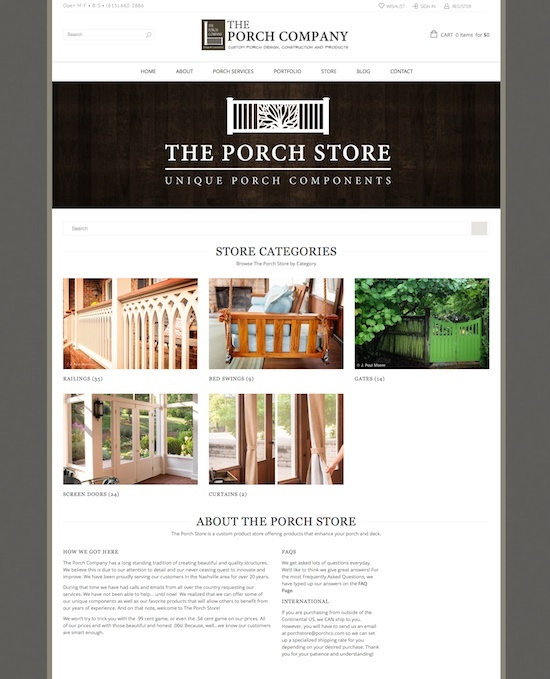 The Porch Company asked that their store to be powered by WooCommerce, which is a great choice especially when there is a budget for the many extensions available to make things easier. We used Gravity Forms Product Add-Ons, PDF Invoices, Product Bundles, Catalog Visibility Options, Shipment Tracking, Table-Rate Shipping, and Tab Manager, amongst others. Other Plugins used in this project included the “always recommended” Gravity Forms, BackupBuddy, AddThis, Redirection, as well as a handful of premium plugins including Slider Revolution, Justified Image Grid, and WPBakery’s Visual Composer. SEO is managed by WordPress SEO and CloudFlare Pro is helping with security and optimization (with SSL). WP Biographia helps give a picture to the blog authors. 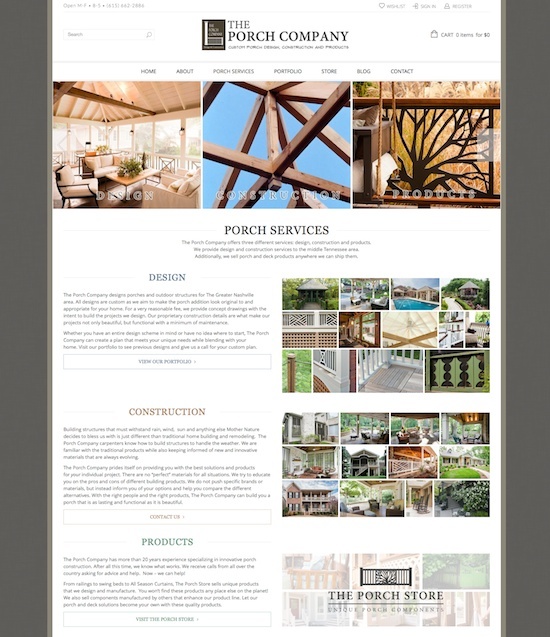 In the social arena, besides Facebook and Twitter tools, we incorporated Houzz (interior design and decorating ideas social media) and Yotpo, a marketing platform for eCommerce stores (including WooCommerce) based on social reviews. 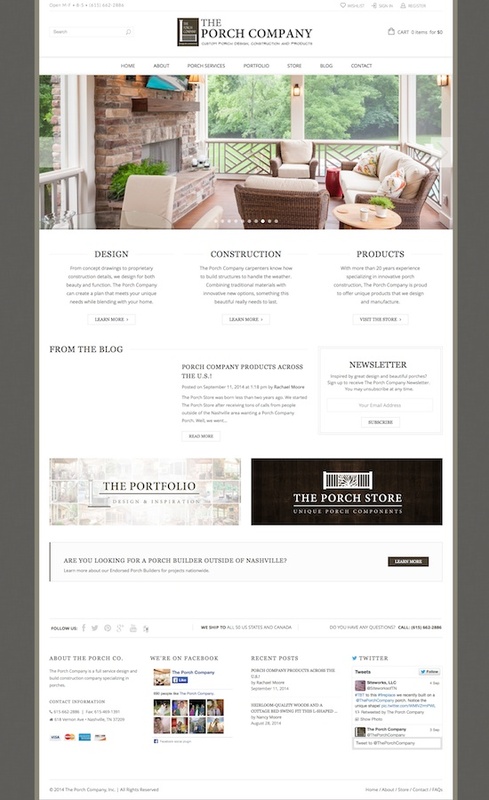 We used GEO my WP to create a listing of “Endorsed Porch Builders” that could be searchable with results displayed on a map. The project was finished in April 2014. UPDATE: The site owner reported a drop in bounce rate from 60% to 3%, and the SEO continues to improve. These things are great to hear! 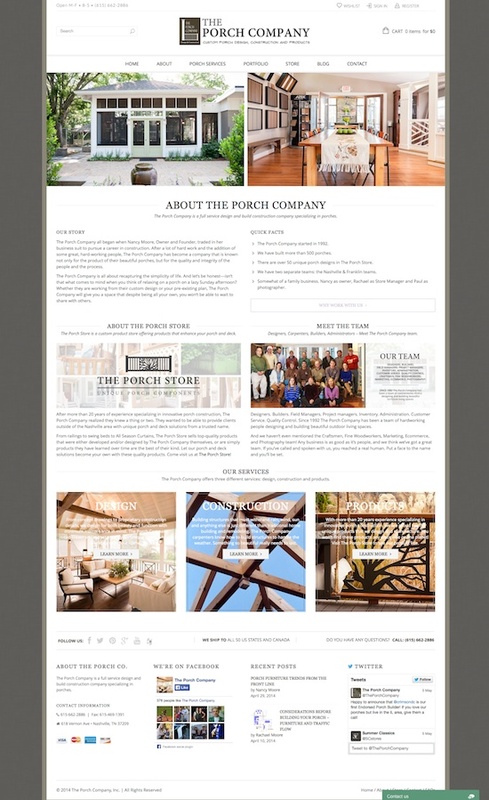 The Porch Company is a full service design and build construction company specializing in porches. They are based in Nashville TN.